Let’s be honest, most of us long for a larger kitchen. An island is something we aspire to have… an American style fridge freezer is the appliance we really want…however with most modern homes being more compact than ever, we are constantly looking at ways to make the very most out of our space. The good news is; a smaller kitchen needn’t compromise when it comes to top of the range appliances! There are more options than ever before and with space being a top priority, brands are coming up with more innovative ways to utilise their products. The trend for multi-functional living spaces continues. We are seeing kitchen diners and open plan living spaces in more and more homes up and down the UK. When your living space is adjoined to your kitchen, one important thing to think about is extraction. As you sit down to kick back and relax on the sofa the last thing you want is lingering cooking odours from dinner. A cooker hood can ensure this doesn’t happen! 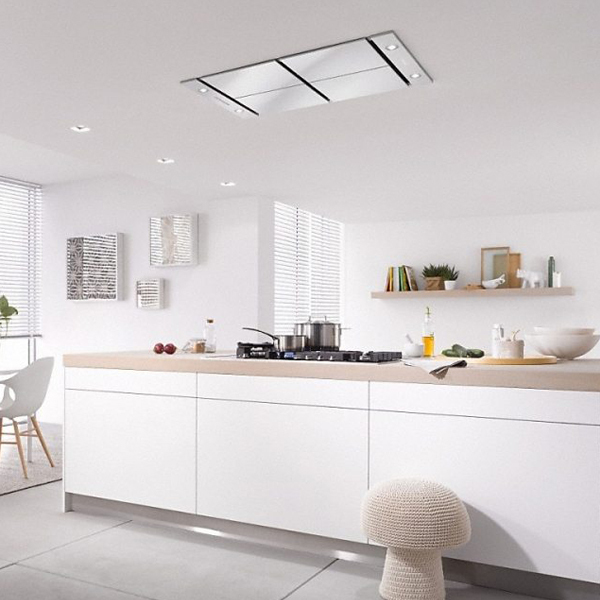 A slim cooker hood can still have a powerful extraction rate that eliminates steam and cooking odours quickly and efficiently. Some hoods are also fitted with LED lights which add a touch of ambience as well as ample lighting in the main cooking area. We have a fantastic range of extraction methods from brands including Miele, Faber and Air Uno to name a few. Shop our full collection here. One thing that helps to make the most out of your kitchen is having a good old fashioned declutter! Over time we end up with many odds and ends that we don’t actually use, particularly when it comes to small appliances. You may not have considered getting rid of your kettle, after all, its an essential right? Not anymore! Thanks to modern technology and innovation, you can now produce boiling water instantly from your kitchen tap! Boiling water taps are the hottest appliance on the market right now. No longer do you need to stand waiting for what feels like an eternity for your kettle to boil. You will also have more worktop space – ideal in a compact kitchen! 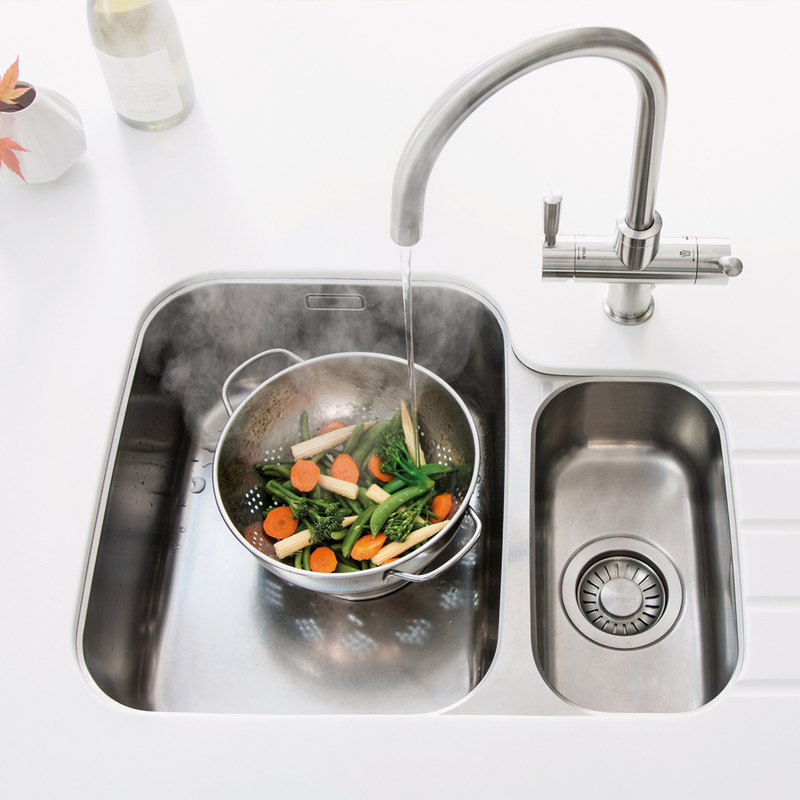 With fantastic brands available including Franke and Quooker, we have plenty of options to choose from. Shop all boiling water taps here. Love the idea of a range cooker but not quite got the space? 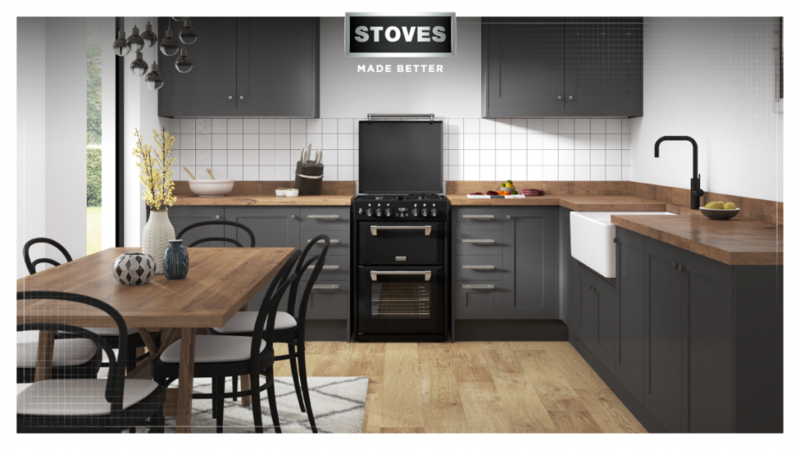 Stoves offer a fantastic range of slim-line freestanding cookers which allow you to enjoy the aesthetic of a range cooker in a smaller kitchen space. At 60cm wide, these freestanding cookers offer all of the powerful features of a range cooker in a perfectly formed, compact design. You can choose from various colours and fuel options including; gas, induction, dual fuel and ceramic. There are two cooker collections to choose from depending on your style; Richmond offers you classic appearance whilst Sterling is ultra modern and sleek. View both Stoves 60cm freestanding cooker collections here. When space is of the upmost importance, under counter built in appliances are a great way of utilising cupboard space. Those hard to reach corners can be a thing of the past thanks to clever storage solutions. When you want premium refrigeration but are restricted on room, brands such as Liebherr come into their own. Adjustable glass shelves and LED interior lighting are useful features to help you make use of every inch inside your fridge. Allowing you to easily spot what you’re looking for and ensuring that no item goes unnoticed. 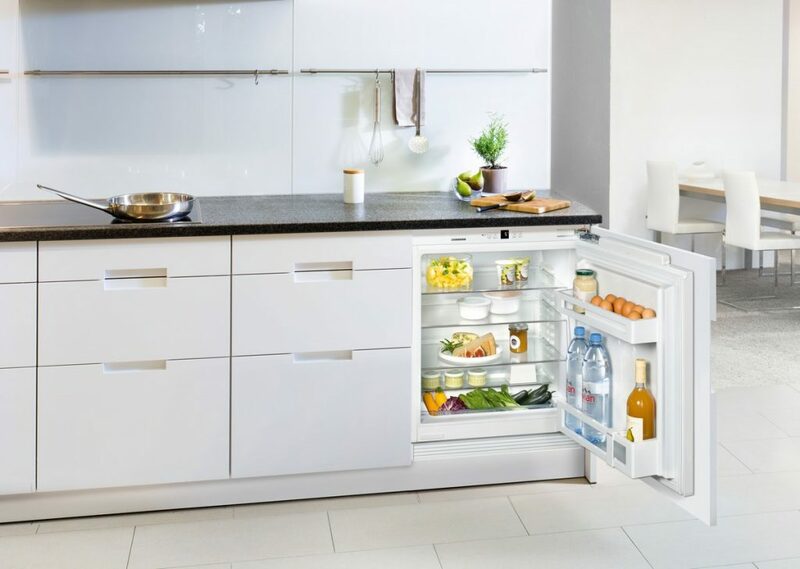 Liebherr offer top energy rated appliances so you can rest assured your bills will remain low whilst your food is chilled to perfection! 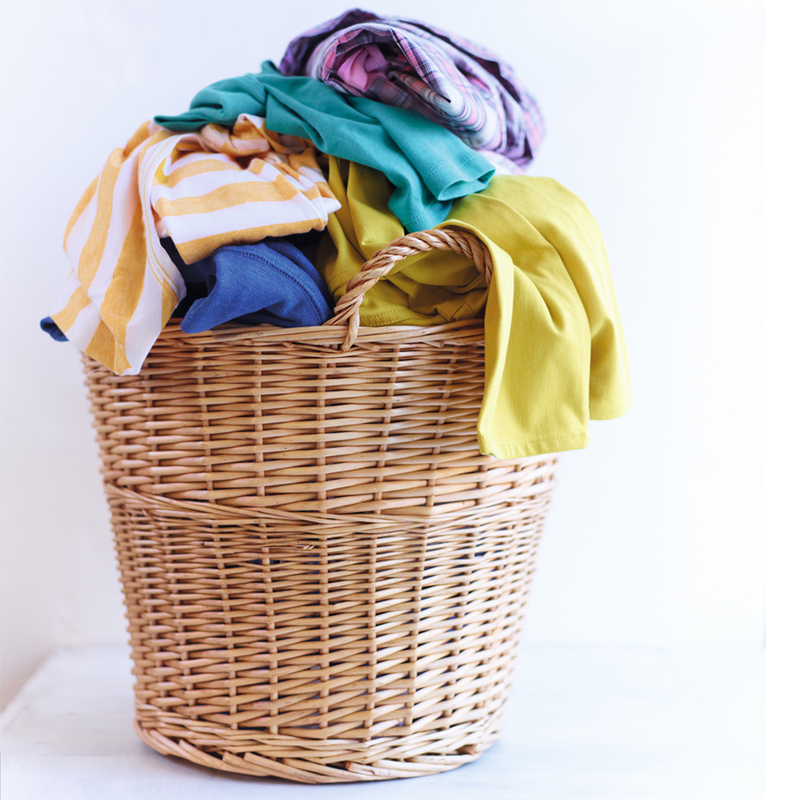 One way of combatting space issues is by combining appliances, instead of having two bulky items for laundry, why not try a washer dryer? An appliance that does the job of two is very handy in a compact kitchen. The Samsung EcoBubble even has a 59-minute wash and dry cycle so your clothes will be ready in next to no time! We have a range of washer dryers on offer, from freestanding to integrated, capacities up to 13kg and many useful functions and features designed to make your life easier. There are a wide variety of brands to choose from including Miele, Bosch, AEG and Siemens plus many more! Find your ideal washer dryer here. We are always more than happy to help you plan your perfect kitchen. Our friendly and knowledgable sales team will guide you through the best products for your kitchen. Give them a call on 0115 965 1937 today!